I enjoy soup no matter what the current season happens to be; however, there’s something extra special about a hearty bowl of hot soup on a cold winter’s day! Even though I have a pressure canner, I typically freeze my soups and stews since they tend to be recipes I’ve created and are not suitable for canning. With my freezers still full from last year’s homegrown organic vegetables, I’ve decided it’s time I began canning soup and reserving my precious freezer space for other goodies! 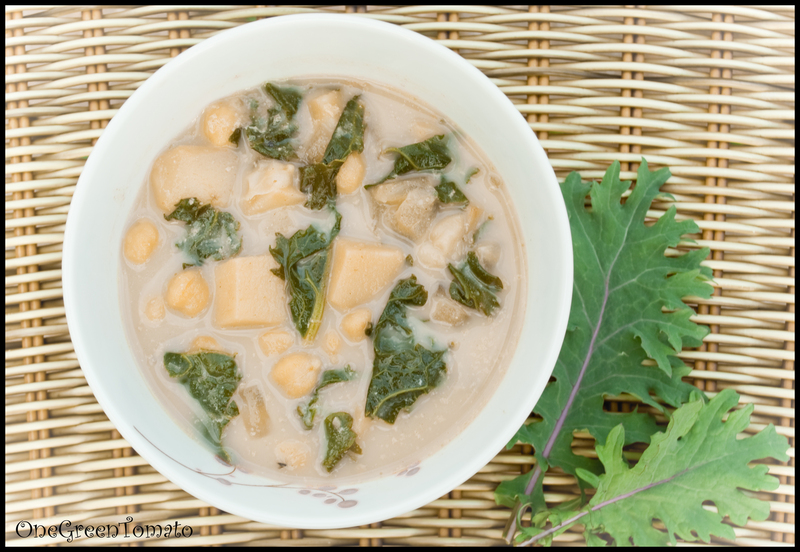 Last December, I began flipping through the pages of my canning books deciding on what soups I would put up. 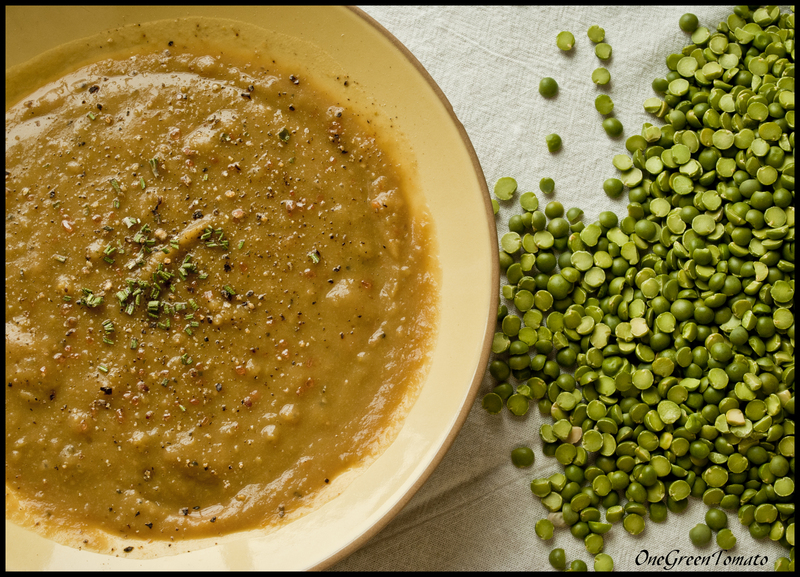 The first one I am going to share with you is split pea. The original recipe called for ham, which I immediately omitted; it also listed allspice, which complements the flavor of ham. I omitted that one too. Dried herbs are considered a “freebie” when canning; they are interchangeable and you can add as much or as little as you would like. Remember that this rule only applies to dried herbs and spices. Some recipes can be safely doubled without challenging the integrity of the finished product, this is one of them. Combine (rinsed) dried peas and water; bring to a boil in a heavy-bottomed sauce pot. Skim off any foam that develops. Reduce heat; simmer covered for about one hour or until peas are soft. If a smooth soup is desired, press mixture through a food mill. I skipped the food mill since processing will generally result in a semi-smooth consistency. Return mixture to the sauce pot. Add remaining ingredients and simmer gently, about 30 minutes. If mixture is too thick add boiling water. Ladle hot soup into hot, sterilized jars, leaving 1-inch headspace. Wipe rims and adjust two-piece lids to fingertip-tight. Process in a weighted gauge steam-pressure canner: pints for 75 minutes and quarts for 90 minutes, at 10 pounds of pressure. For a dial gauge steam-pressure canner: process pints for 60 minutes and quarts for 75 minutes, at 11 pounds of pressure at sea level. If you have a mixture of jar sizes, process at quart time. Turn off the heat. Once the pressure has dropped to zero, open the lid, remove the jars and allow to cool, undisturbed, on a wire rack for 12-24 hours. Because I doubled the recipe it yielded 4 quarts (or 10 pints). Should you want to make a single batch (just half all the listed ingredients), it will result in 5 pints or 2 quarts. This recipe can be frozen; however, to ensure shelf-stability it MUST be processed in a steam-pressure canner. Images and content copyright © 2009-2012 Danielle R Limoge. Recipe adapted from Ball Blue Book Guide to Home Canning, Freezing & Dehydration. 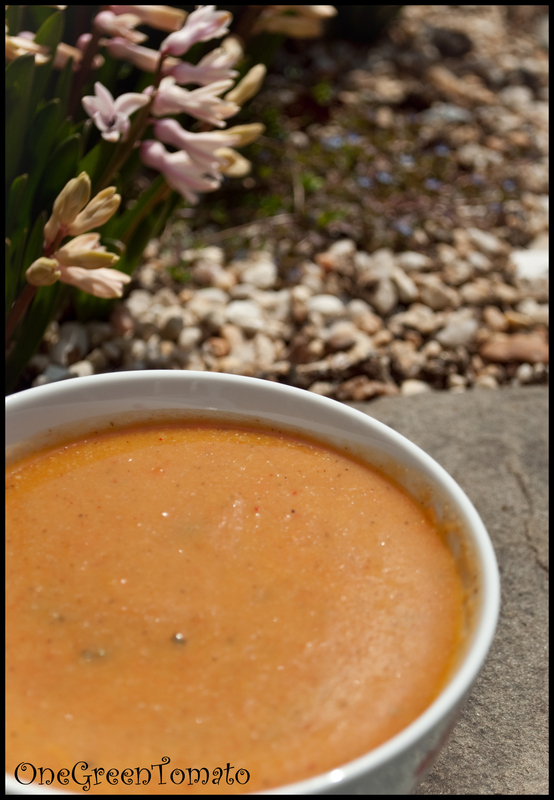 Have you ever noticed that most of my soups have an orange or red glow about them? That is because I adore curry and put it in just about everything! My love affair with this generically termed spice blend started around 2005 when one of my close friends asked me to help open and serve at her family’s Thai restaurant. The food was prepared by a kitchen staff of the most adorable older Asian women. The head of the kitchen (and family) is Mae-pa (pronounced may bah) which translates to Mother Aunt. Only when I spoke it, it came out Mother Fish! Laotian is a tonal language, so the same word can have 4 meanings depending on its pronunciation. Lets just say that they all loved it when I had something to say! In addition to my awesome language skill set, I also learned a lot about Asian cuisine and culture. I can wrap a mean rice roll and make a bowl of phở that would knock your socks off…even though phở is historically a Vietnamese soup. Break cauliflower into florets and toss with a bit of olive oil and a sprinkling of salt. Roast for 25 minutes (uncovered) at 450°F. While cauliflower is roasting, in a large soup pot saute onion in clarified butter over med heat for 3-4 minutes, add garlic and continue cooking for an additional 1-2 minutes. Do not allow garlic to burn or it will become bitter. 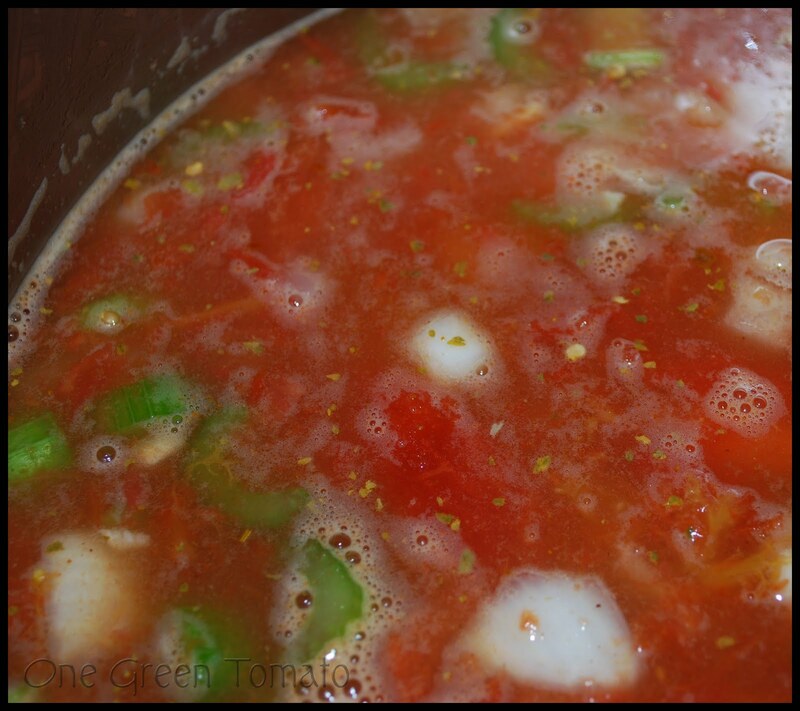 Add the vegetable stock and water to pot, bring to a boil, then reduce to a simmer. Once the cauliflower has finished roasting, add it to the soup along with the curry paste; stir to incorporate and simmer for an additional 5 minutes or so. I don’t measure how much curry I use, I know when its right by the color of the soup, usually it is a very large spoonful. My advice to you, add a tablespoon at a time, stir, and then taste, repeat until it is hot enough. Remove soup from heat an allow to cool for about 10 minutes. Using an immersion blender puree soup until creamy. Once desired consistency is achieved, add chick peas, a handful of chopped cilantro and the juice from half a lime. Enjoy! I still have a slew of winter squash, stacked in crates, hanging out in my living room. While thumbing through some old recipes, looking for a bit of cooking inspiration, I found one that sparked my interest. 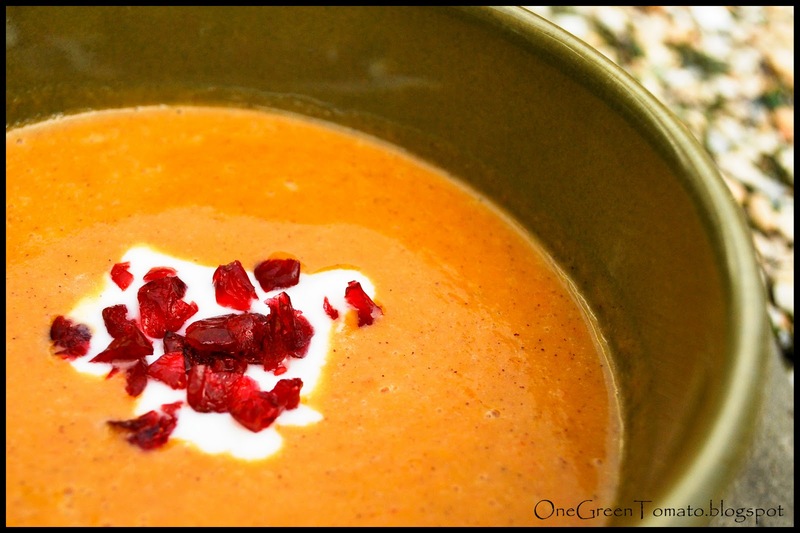 This recipe is loosely based off a roasted sweet potato soup from body + soul. 1 smallish tart apple, peeled, cored and diced. Preheat oven to 400. Wash squash and slice in half, remove seeds and slice halves into wedges. Place squash wedges into baking dishes with a bit of water. Roast for 45 minutes to one hour. When squash has cooled to the touch scoop cooked squash out and place in a bowl. Discard or compost skins. Heat oil in a large stock pot over medium heat, add onion some salt and pepper and cook until caramelized, approximately 15 minutes. Add bell pepper, hot pepper and garlic; cook for 5 minutes. Add marsala wine, squash and broth; stir to combine. Bring to a boil, reduce to a simmer, and cook for 20 minutes, until flavors have melded. Remove from heat and allow soup to cool. Using an immersion blender puree soup to desired consistency. Soup can also be poured into a blender, in small batches, and pureed. In a small sauce pan, over med heat, bring vinegar, agave and curry powder to a boil. Add apple; stir for about a minute, remove from heat. 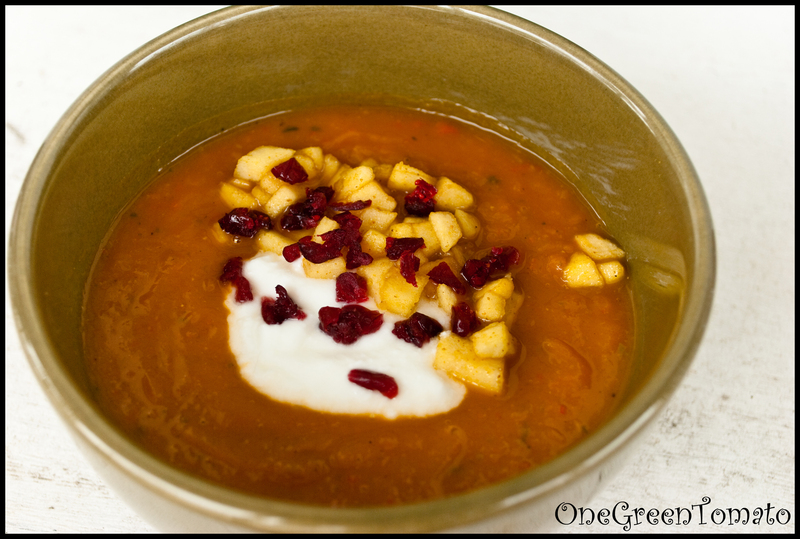 Ladle soup into bowls, add a dollop of yogurt and sprinkle some apple and cranberry on top. 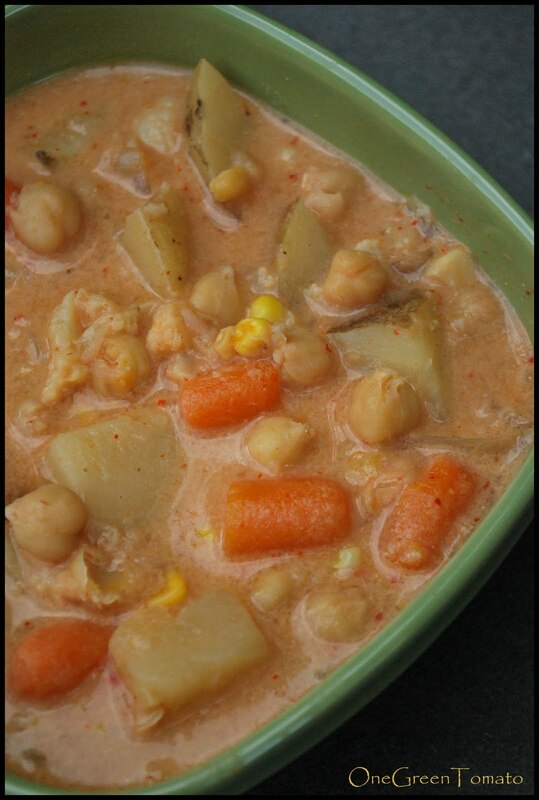 This soup can easily be converted into a vegan dish by omitting the yogurt. Yesterday I shared my recipe for pumpkin spice. 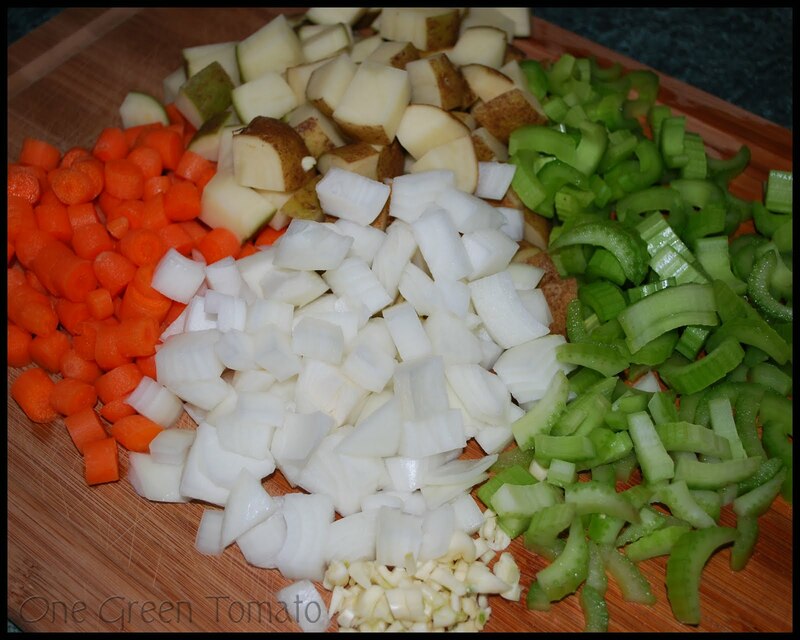 Today I’m going to tell you exactly what soup you need to add it to. Tomorrow, you are going to want to make this soup. Trust me! In a large uncovered pot simmer stock, carrots, onion, baking soda, pepper, salt and pumpkin spice until carrots are soft (approximately 15 minutes). Add squash, milk and honey, mix well and simmer uncovered for an additional 10 minutes. Remove from heat. Once the soup has cooled a bit blend to a creamy consistency with an immersion blender. 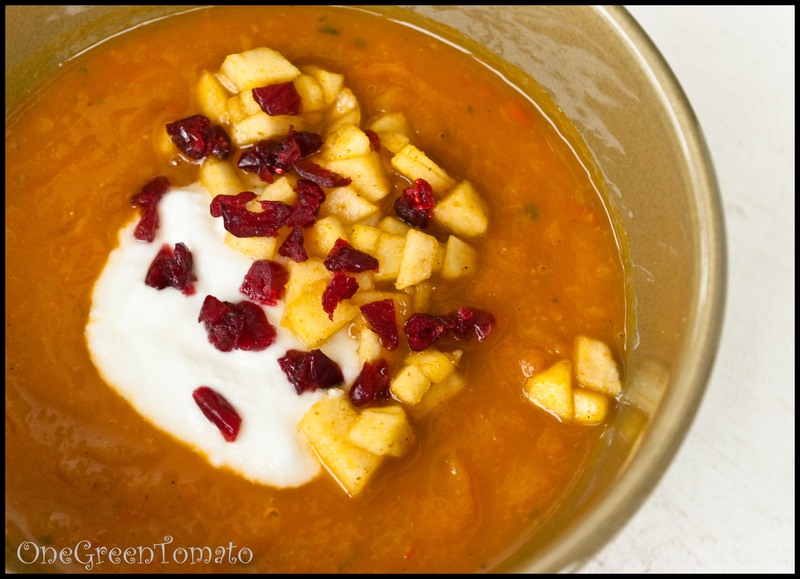 Top off with a dollop of yogurt and dried cranberries. If I had not eaten ALL of the toasted squash seeds I would have sprinkled a few on top as well. It has been forever since I posted a recipe or shared any of my latest cooking adventures, so I thought I should remedy that starting today! Honestly, I have lots of unfinished posts just hanging out in my que waiting to be published, maybe someday I will actually get around to finishing them! Maybe. A little over two weeks ago I went home for a family get together and ended up getting more than I bargained for. My niece had a cold that quickly spread throughout my brother’s family. Not wanting to exclude her Aunt DD I ended up getting sick as well. My colleagues are always on my case about the fact that for someone who eats very healthy and exercises regularly I am ALWAYS getting sick! Folks, I’ve been this way my entire life. Last Sunday, which was day seven of my 2 week cold, I was not in the mood to cook. I wasn’t in the mood to do much of anything really. 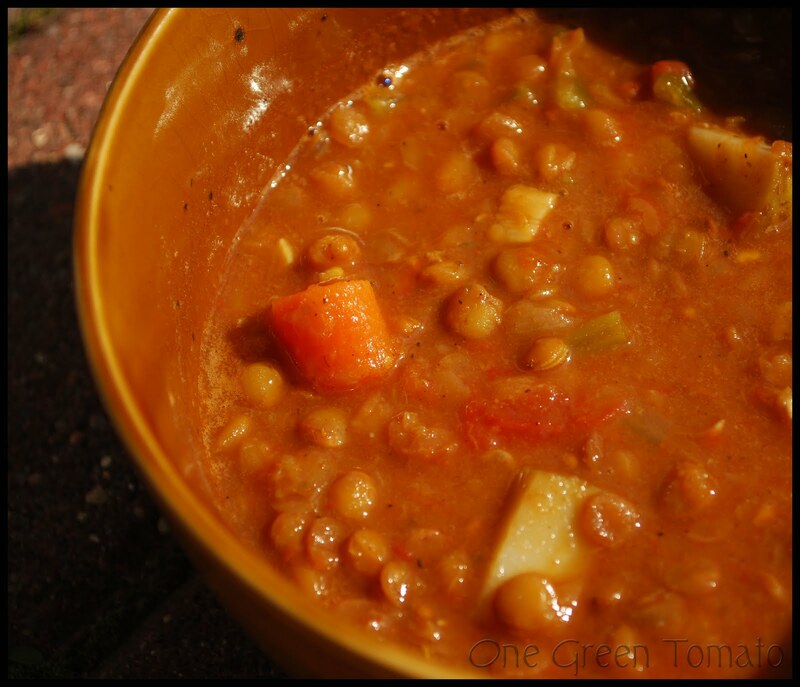 So while putzin’ around on Facebook I noticed a friend was making lentil curry soup for lunch. Instantly I knew that was exactly what I needed to get out of the blah mood I was currently drenched in. I attribute that to the spice! There was no recipe following here, just a lot of tossing together what was on hand and I am happy to report it turned out deeee-lish! Step 2. In a large soup pot heat oil on med-high heat. Add onion, carrots, potatoes and garlic, saute for about 5 minutes. Add tomatoes, water, chicken cubes, lentils, celery, pepper flakes and curry powder. The amount of curry powder depends on how hot you like your food. I like it HOT so I generously sprinkled enough to cover the top of the soup pot, twice. 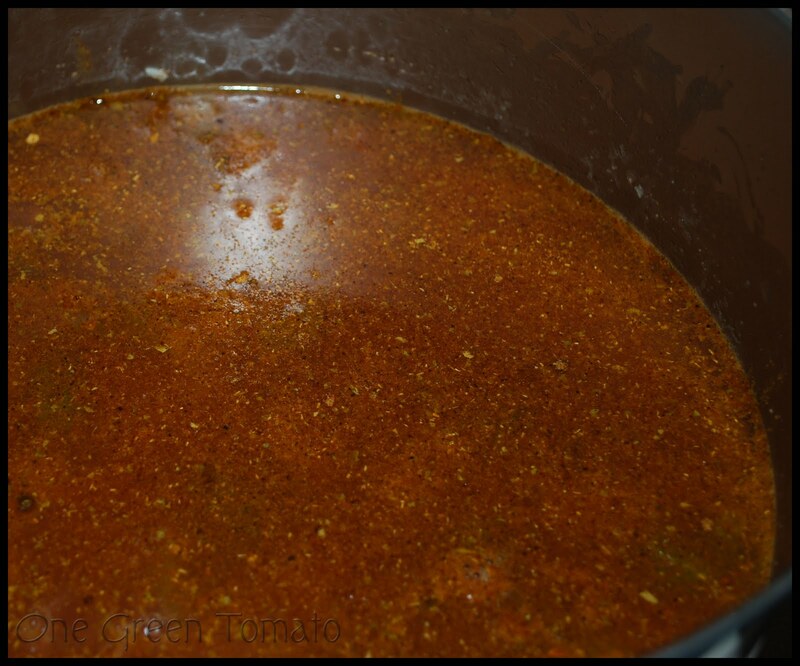 Reduce heat to med-low, cover and allow to simmer for 45 minutes to an hour. I ended up taking the final picture several days after the soup was cooked, so by then it had evolved into more of a stew consistency!